10 of the most beautiful places to visit in Australia – The land from down under is a traveller’s dream. 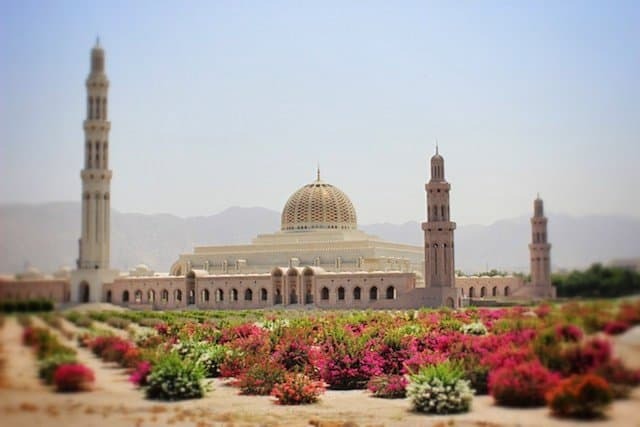 Popular with both backpackers and holidaymakers, most visit here to tick off the famous sights as well as experiencing the famous laid back Ozzie lifestyle. Blessed with an eye-watering amount of uniquely beautiful landscapes, Australia’s top 10 most beautiful places to visit are not easy picking, but here we’ve tried our best.. This is the most beautiful coral reef in the world and definitely a must see when you visit Australia. It’s a system of 3000 reefs and coral cays sprinkled with islands stretched across 300km along the Queensland coast. It is one of the seven natural wonders of the world, a huge living thing inhabited by thousands of brightly colored tropical fish. The reefs marine life includes sea turtles, dolphins and mollusks. You can see the Great Barrier Reef from a boat, snorkelling, diving and also from a small airplane if you’re brave enough. Another of the famous sights, this is a giant red colored rock with a distinct shape which rises out of the flat desert plains of central Australia near Alice Springs within the Uluru-Kata Tjuta National Park. This area is called the Red Center of Australia and it is the heart of the country. 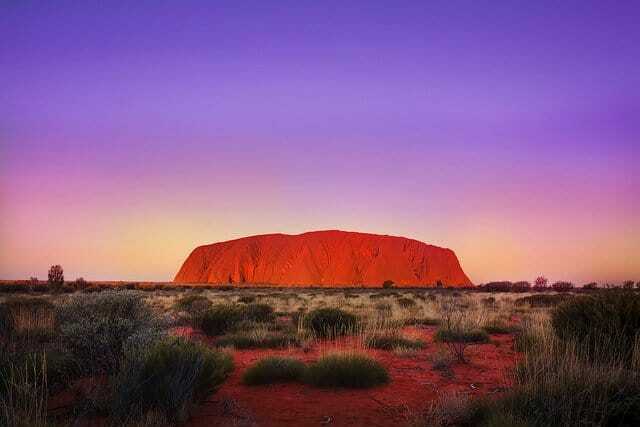 The iconic rock is 348 meters high has deep cultural significance to the Aborigine people and you can take a tour with one of the local Aborigines to learn more about the meaning of this spiritual sight. 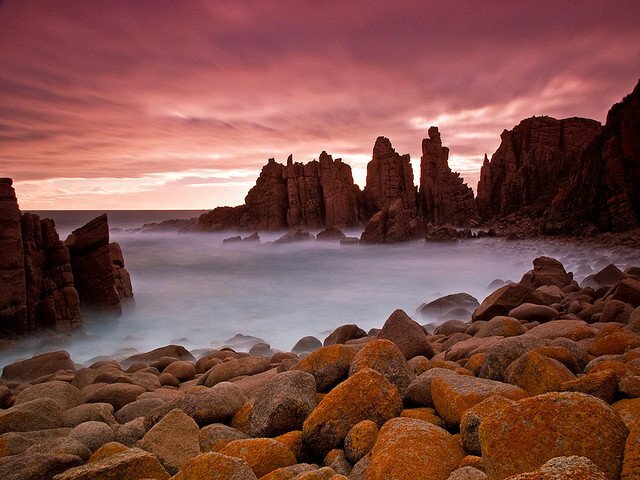 Make sure you stay for sunset when the rock dramatically changes colour as the daylight fades. This is a very beautiful man-made site in Australia and one where most visitors start and end their journey to Oz. The 240 km long shoreline of Sydney harbor is lined with parklands and gardens. The bright blue water with white sailing boats afloat is set off by the background of the esthetically shapes Sydney Opera House and the Sydney Harbor Bridge. See this tranquil sight from a ferry boat tour or from the top of the Sydney Tower. 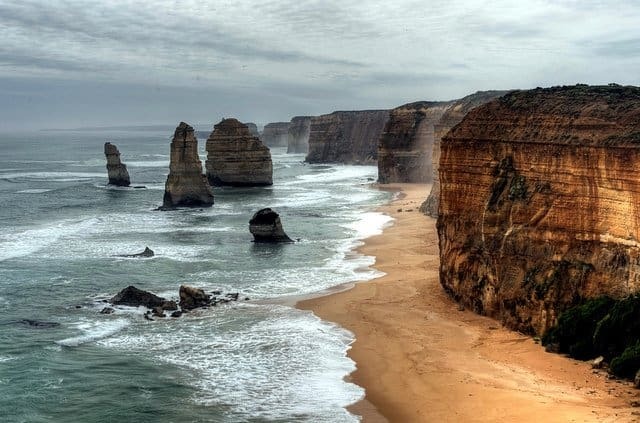 This incredibly scenic coastal road takes you from Torquay to Warrnambool in Victoria passing by many attractions including the famous Twelve Apostles – a series of limestone formations which jut out of the sea. Also located here are other interestingly shaped rocks like the Loch Ard Gorge, the Grotto, London Arch and Island Archway. See the villages like the quaint fishing village Port Fairy, Apollo Bay and Queenscliff with Victorian architecture. There are a range of activities along the way like wine tasting and sea sports. 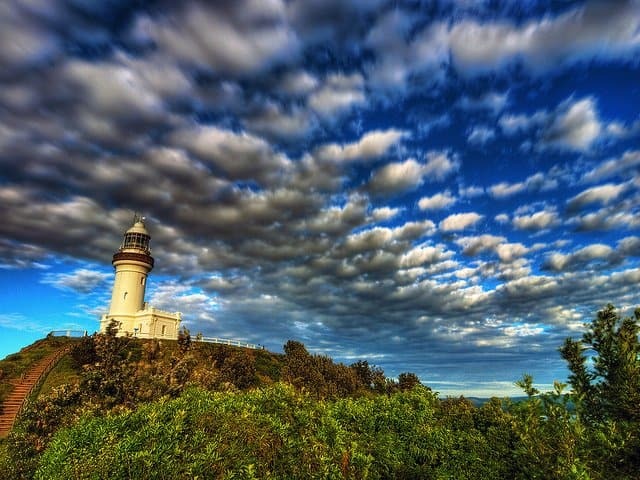 Located near the hippy mecca Byron Bay, is one of the most beautiful places to visit in Australia, Cape Byron. It’s the most easterly point on the continent and the cape which protrudes into the ocean is known for its historic lighthouse constructed in 1901. The cape has rainforest, rough cliffs and parklands which can be walked as you gaze out at the spectacular sea views from Captain Cook Lookout or Wategos Beach. Seeped in Aboriginal and European history this isolated point where sea meets land creates heavenly views. The Cape is also a good place to spot migrating whales if you time your visit right. The island is along Australia’s southern road near Melbourne it covers 10,000 hectares and from its 101 km coastline Bass Straits is the most beautiful with picture perfect beaches. 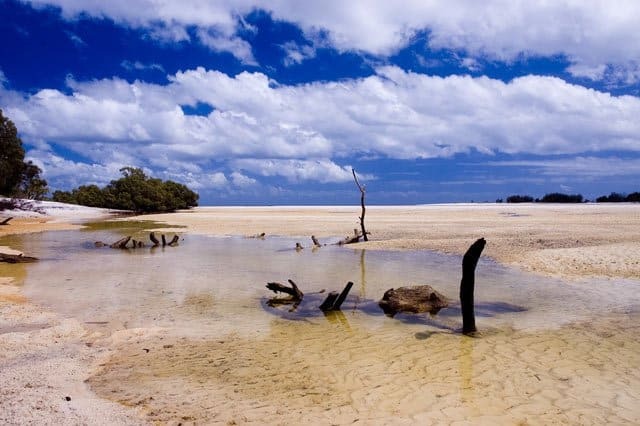 The island’s undulating terrain has mangrove flats, wetlands and bush. Perhaps Phillip Island’s beauty comes from the resident fairy penguins which walk from the sea to their burrows at sun down, the fur seals which sun themselves on the island’s rocks, the koalas in the conservation center or the countless birds and natural wildlife which inhabits the island. This island is a UNESCO World Heritage Site and is both stunningly beautiful and culturally significant. The island is almost other-wordly with long stretches of white sandy beaches, sand cliffs and vibrantly colored lakes which come in shades of blue, brown and green. The island also has rainforests and incredible sand dunes, it is divided from the mainland by wetlands which are vibrantly colored with every shade of green. The best way to visit is to hire a four-by-four and bring your camping equipment. Although be aware (especially if you have a family) Dingo’s roam free on the island. Only a couple of hours from Sydney this World Heritage site is one of untouched rainforests, steep cliffs, fresh water springs, waterfalls and undulating forest. The mountains are populated by small villages each with their own charm. The peaceful atmosphere above can be felt from the highland mountains and from within the rainforests while walking along one of the scenic skyways. You can also get a breathtaking view from the cable car or railway which travels up and down the mountain slopes. 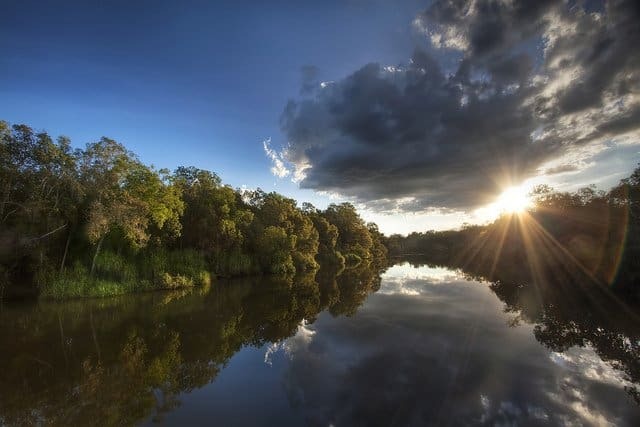 Right at the top of Australia near Darwin the park covers almost 20,000km² through it runs 4 rivers, there are lowlands, rock cliff formations, expansive floodplains, tidal flats, estuaries, hills and valleys. Living in the park are many birds, fish, mammals, reptiles and insects along with the many plants and trees. The park’s beauty comes from the diversity of landscapes and colorful contrasts along with the shear expanse of the natural surroundings. You can camp out in the park to get the full experience or the less adventurous can stay in nearby hotels or guest houses. The wine lands of Australia are situated near to Adelaide, through the valley winds the Barossa Valley Way passing several quaint villages and respected wine producing vineyards. The beauty of this area is the deep rich colors of the vinyards set against the colors of the trees, grass and surrounding mountains. Of course a little wine tasting doesn’t hurt either. 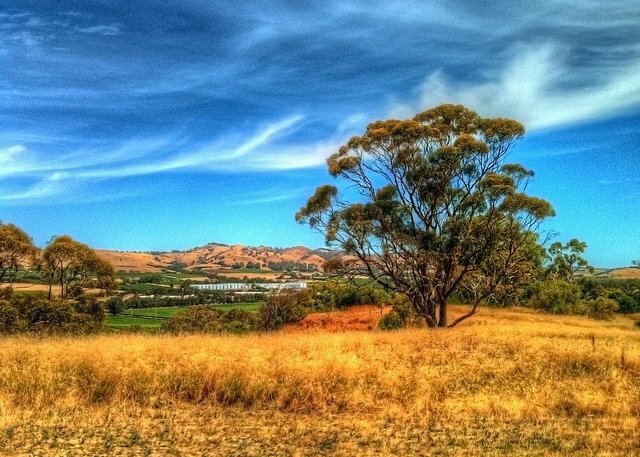 The Barossa Valley was included in Oprah Winfrey’s Ultimate Australian Adventure. It’s impossible to list every beautiful place in Australia and other’s you should include on your list are The Whitsunday Islands (a collection of islands off the central coast of Queensland), the pearling town of Broome in Western Australia, the pristine wilderness which is Kangaroo island, the unspoilt island of Tasmania and Cape Tribulation – where the lush green rainforest meets white sandy beaches. Enjoy your adventure! 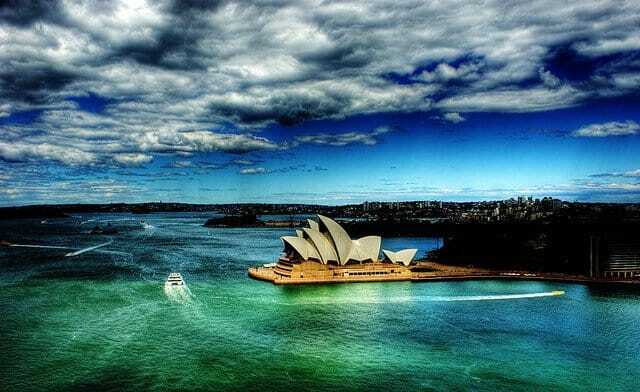 its sooo bautiful ilove australia……. 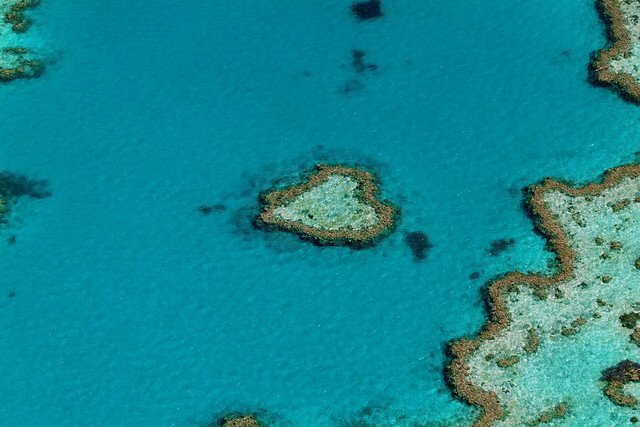 Waw, all photos are wonderful,Great Barrier Reef and Kakadu National Park are my favorite. But some great spots are missing of course, hard to pick only ten! I’ll just quote Kangaroo Island, south of Adelaide. Perfect place to see kangaroos of course, but also koalas, seals, and beautiful landscapes! Australia is at the top of my to-visit list, and you basically summed up why here. The Great Ocean Road is the stuff dreams are made of, you know? I’ll be going to all of these places on my big Australia trip!! yay so excited! 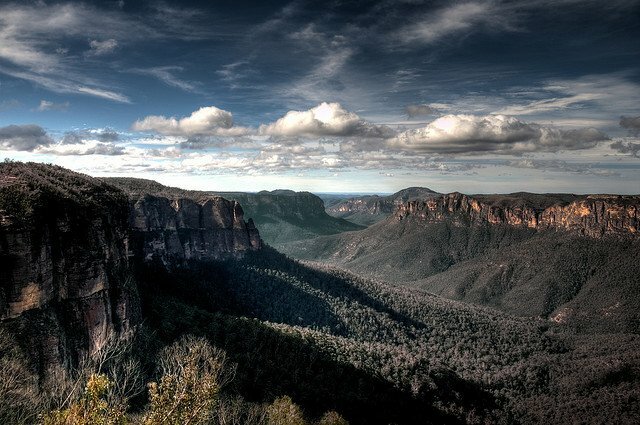 Wow these photos are stunning, the Blue Mountains and Kakadu National Park are my favourite. I spent a fantastic few days in the park and I really recommend camping there.